The sixth most populous county in the United States, Orange County, CA, is home to over three million people and some of the nation’s most popular tourist attractions, including Disneyland and Knott’s Berry Farm. It has fabulous beaches and marinas dotting its forty miles of Pacific Ocean coastline. After explorations by Spanish explorers, Mission San Juan Capistrano became the region’s first permanent European settlement in 1770. Cattle ranching, citrus, avocados and oil extraction were important to the early development of The OC. Agriculture began to subside after World War 2, but the county’s growth and prosperity continued, especially with the completion of US Interstate Highway 5 in 1954, which made Orange County a popular bedroom community for a flood of workers coming into Southern California for jobs in aerospace and manufacturing. The affluent county is one of the few in the nation that doesn’t have a central city core. Instead, numerous medium and small towns dot the geography with Santa Ana serving as the county seat. Dependent on their cars to navigate SoCal’s freeways and massive web of service streets, when Orange County residents are looking for a Honda dealer near Orange County, CA, to purchase a new vehicle, they can always count on our team at Norm Reeves Honda Superstore in Huntington Beach. 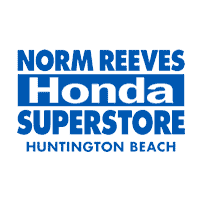 Easily accessible from anywhere in the county, Norm Reeves Honda Superstore in Huntington Beach boasts a staff that, on average, has been with the dealership over nine years, unusual in the car business. The reason is that at our Honda dealership, we treat our employees and our customers like family. You’ll always be greeted with a smile and serviced with dignity and respect. You can also be sure that you’ll find an honest deal, thanks to the Norm Reeves Price Protection Plan. This exclusive plan offers security in knowing if you find the same Honda elsewhere within five days of your purchase, we’ll gladly refund the difference or buy the car back. That’s pricing confidence! It’s also what helped us be named a six-time winner of American Honda’s Customer Service Experience Award. Our goal is to get you into the perfect car for your needs and budget in a no-pressure atmosphere. As a progressive dealership, you’d expect Norm Reeves Honda Superstore in Huntington Beach to provide a comfortable and convenient experience both on and off the lot. Beginning with your experience on our website, you can search our entire inventory of new Honda vehicles or pre-owned Hondas, pre-apply for financing approval and schedule a test drive, all from the comfort of your home or office, 24/7. Wondering about the difference between buying and leasing? We can help explain the intricacies of automotive financing so you can make the decision that’s right for your family. We also provide free vehicle reviews and comparisons to help you during the new vehicle research process. Making sure your Honda receives the kind of professional care it needs is an important part of ownership. At Norm Reeves Honda Superstore in Huntington Beach, our state of the art service department is staffed by a team of Honda certified technicians. Whether you need an oil change or major transmission repair, you can count on us to get the job done right. In addition to excellent service, we also provide a number of Honda maintenance schedules and dashboard light guides available online 24/7 so you can learn more about caring for your vehicle. Of course, if you ever have questions about routine maintenance or repairs, our experts are only a call away. Don’t hesitate to contact or visit our service department for excellent Honda care. Buying a new Honda can be an exciting experience. However, trying to decide how you’ll pay for it isn’t always so easy. At Norm Reeves Honda Superstore in Huntington Beach, our finance department has years of experience working with banks and lenders. We’ll work with you to get you the credit you deserve so you can get behind the wheel of a great new Honda. No matter what your credit history is, we’ll do everything we can to make sure you get a great deal on the vehicle you need. If you’d like to start exploring your financial options now, complete our safe and secure credit application or test out a few different figures using our auto loan calculator. Not sure how much car you can actually afford? Then try the free affordability calculator to put in your preferred loan terms and see the maximum vehicle price. Start by heading northeast on Red Hill Avenue toward Parkway Loop. Turn left onto Edinger Avenue and then turn left to merge onto CA-55 S/State Route 55 S. Take the exit on the left onto I-405 N/San Diego Freeway toward Long Beach/San Diego Freeway and take the Brookhurst Street exit toward Fountain Valley. Keep left at the fork and continue to follow signs for Brookhurst Street South and merge onto Brookhurst Street. Finally, turn right onto Ellis Avenue and then left onto Beach Boulevard. Our dealership is just up the road on the right hand side. Of course, if you have any trouble getting to our dealership, you can always give us a call. We’re proud to be the trusted Honda Dealer in Orange County. Come visit us today to see why so many people have already chosen Norm Reeves Honda Superstore in Huntington Beach as their go-to Orange County Honda Dealer.